My first beet eating memory is of Sunday dinners at my cousin’s church. They would have two services, and each Sunday, in-between the two, there was food. Lots of delicious, and lovingly made food. Somehow, beets became a huge part of Sunday dinners. My plate always arrived after the Pastor’s plate, and after the elders too. Chicken with everything… and beets. I would mix the beets with my rice to give my rice a pinkish tint and a sweet taste. It was enough to drown out the bang of the beets, and just enough to pump up my rice. It tasted rather lovely smothered in mac and cheese too. But not alone. Not beets. Beets never seemed too appealing after that. It’s not like I didn’t like them, it’s just that, once I knew I didn’t love them, I no longer felt the need to include them in my diet. Which is just silly, I know. Naked reached out and gave me a few of their products to try over the next few months. In-between being a working mama, errands, and trying to keep a household somewhat put together, I sometimes forget to eat. Rather, I sometimes slack in eating a well balanced meal. I’ll look back on my day and realize I managed to down a bagel and an egg if I’m lucky, seaweed chips, and two coffees. Definitely not enough of the really good stuff that my body needs. Knowing that I can grab a bottle and pause for just a few moments, to take in all of the good things, gives me a sense of comfort. Our bodies are amazing and should be nourished and treated well. And it is often too easy to forget that what we put in, we also put out. Good food has good energy. I need good energy to do good work and be a good mother, wife, and overall being. Besides being incredibly trendy now, beets are and always have been incredibly healthy. I’m looking forward to my next serving of juice. Each bottle contains 2 and a half beets, carrots, ginger, carrot, apples, and coconut water. And it’s not only light on the calorie mark, it’s also vegan, gluten free, and has zero sugar added. When cooked or juiced to perfection, beets will hook you in with they’re refreshing and savory bits. Here’s how I created this yummy warm weather friendly salad. 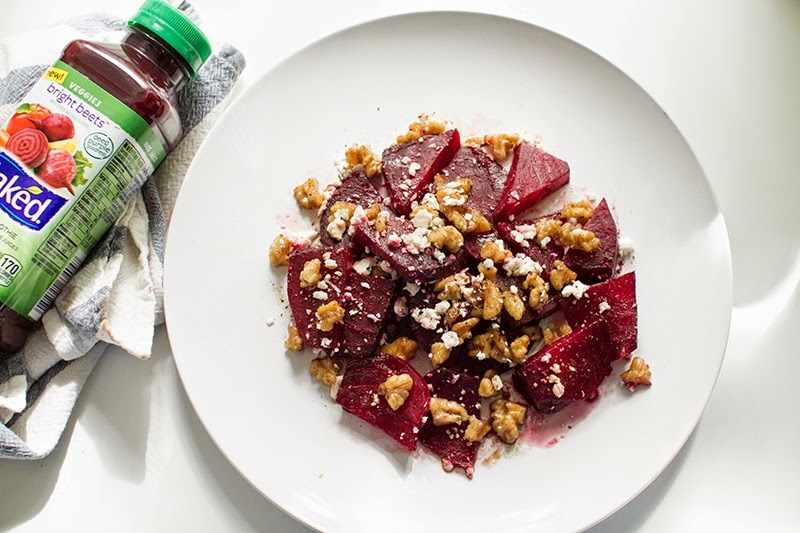 -To create your roasted beet salad, first you will want to preheat your oven to 400 degrees. Individually wrap each of your beets and place them in the oven for about an hour, or until a knife can pierce completely through the beet without struggle. -Once your beets have cooled, peel and cut them. -In a separate skillet, warm olive oil and sauté walnuts until they are warm and darken in color. 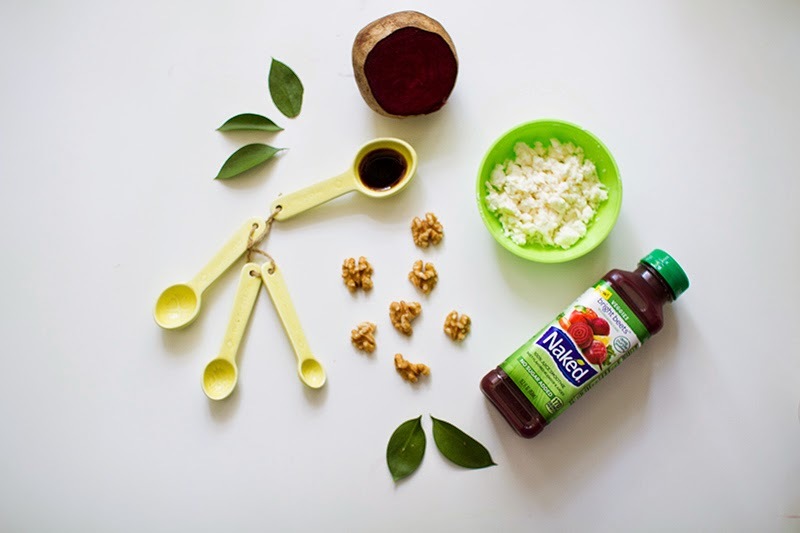 – Once walnuts are finished cooking, stir your balsamic vinaigrette into your walnut and oil mixture. –Pour mixture over cut and placed beets. – Crumble feta on top of the salad and season with salt and pepper. I kind of feel like my story with beets is almost a Green Eggs and Ham kind of story. I can definitely eat them for breakfast, snack, lunch and dinner. And Naked makes it so much easier being so portable, healthy, and plain stupid delicious. The Naked brand is awful! They are not "all natural", and had to remove this label from their items after their 2013 lawsuit. Also, they are owned by Pepsi – not healthy. 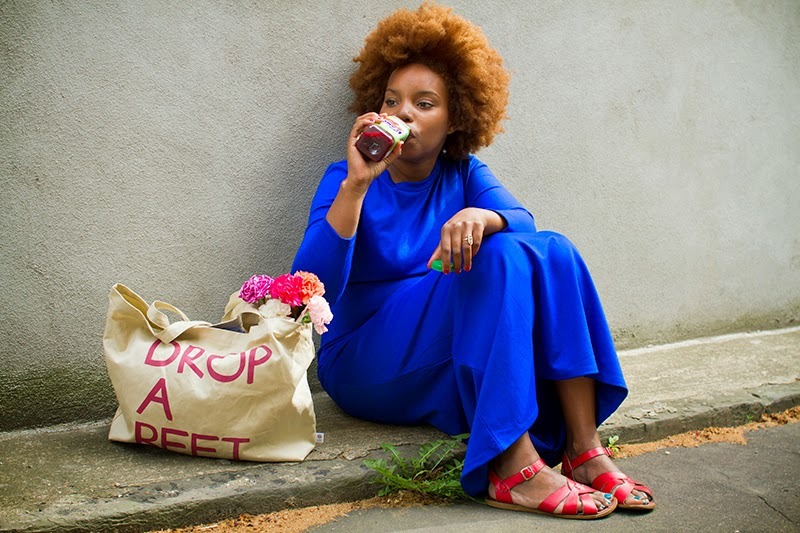 The poster above is right, Naked products significantly altered their formula after being purchased by Pepsi and now contain more sugar than any nutrients 🙁 Additionally, I really like your style and adorable family, but I feel like your blog has become an ongoing commercial for free stuff you get. I appreciate the hustle, but it's hard to believe in your style and recommendations when the vast majority of your posts are sponsored. I'll have to give this a try this weekend! Thank you for sharing. Can't wait, let me know how it goes please!